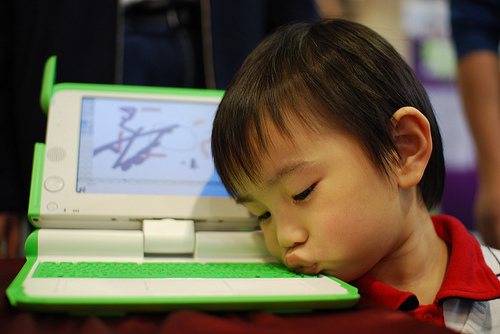 OLPC (One-Laptop-Per- Child) is an initiative providing a means to an end: an end that sees children in even the most remote regions of the globe being given the opportunity to tap into their own potential, to be exposed to a whole world of ideas, and to contribute to a more productive and informed world community. DotAsia actively supports OLPC activities in Asia, including encouraging staff to volunteer and contribute on the oversight of the program and to deployment trips. Since 2008, DotAsia has been supporting the deployment of thousands of laptops to children in China, Bhutan and around Asia. NetMission Ambassadors Program is a youth program initiated by DotAsia in 2009 aiming to nurture university students to become future Internet leaders. The NetMission program equips the ambassadors with knowledge on Internet governance and offer International exchange opportunities where they can participate policies discussion at an international level. It also aims to bring together a network of dedicated young volunteers on an autonomous platform for ambassadors to explore and initiate community projects towards promoting and contributing towards digital inclusion, Internet governance as well as a respectable and harmonious Internet environment. Besides independent projects, NetMission Ambassadors have led the creation of YIGF Camp (www.yigf.asia) and NetY (www.nety.asia) which further promotes youth participation in Internet governance in Asia. 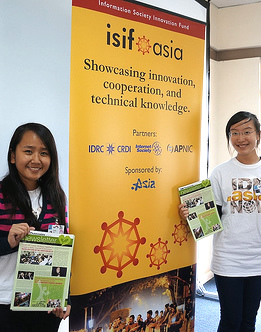 The ISIF Asia Program, which provides small grants and awards, has a vision for "Small grants, inspiring innovation" and was developed to help advance local and regional projects aimed at introducing, improving, and applying Internet technology for the benefit of Asia-Pacific users and communities. DotAsia has been supporting the program since its beginning. The ISIF fund has been administered by APNIC since 2008, under a separate funding arrangement with IDRC; while APNIC has also made a full contribution to the grants fund in each year. Up until October 2011, AUD 670,000 had been granted to 23 initiatives from 12 economies in the Asia Pacific region, showcasing innovation, cooperation, and technical knowledge. Furthermore DotAsia has supported other grants programs such as the Digital Solidarity Fund (http://hk.dsf.asia) in Hong Kong which provides funds to digital inclusion projects. BlogFest.Asia is a festival for bloggers and social media in Asia. Since 2009, DotAsia has supported the making of the region's first international gathering of blogging and social media enthusiasts. Beyond BlogFest.Asia, DotAsia also actively supports associated blogger and community events in the region, including blogger conferences in China, Malaysia, Hong Kong, Taipei, etc., as well as other open and social community initiatives such as the Chinese Internet Research Conference (www.circ.asia), Creative Commons in Asia (www.creativecommons.asia), Asia Open Source Software Centres (www.oss.asia), and GNOME the most popular free desktop environment for GNU/Linux and UNIX-type operating systems (www.gnome.asia). 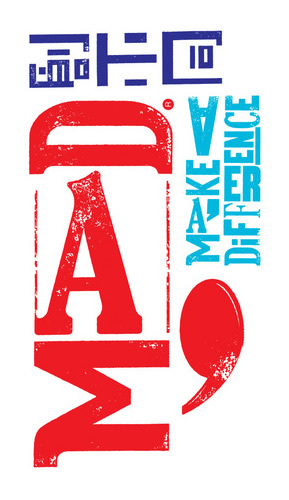 MaD believes passionately that young people have enormous power to make a difference. Evolving around creativity, entrepreneurship, innovation and discovery, MaD, Organized by Hong Kong Institute of Contemporary Culture, is a Hong Kong-based platform devoted to inspiring and empowering youngsters (aged 16 - 30) all over Asia to create positive personal, economic, social and environmental change. Since its inception, DotAsia is has been a supporter of MaD, which has grown to become a continuous initiative comprising of the annual MaD Forum, Round-the-year "MaD Good Lab" and "www.MaD.asia" portal for "MaDees" to access inspiring MaD news, share ideas and get connected to kick-start actions. Besides MaD, DotAsia has also supported other youth and social initiatives including Paragon100.Asia -- a social entrepreneurship mentorship program, APEA.Asia -- the Asia Pacific Entrepreneurship Awards, UGames.Asia -- in support of the Unversiad held in Shenzhen. Break Up Club (分手說愛你) is a 2010 Hong Kong romance film starring Jaycee Chan (son of renowned martial arts celebrity Jackie Chan) and Fiona Sit. 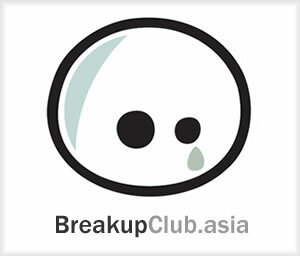 The film revolves around a mysterious website (breakupclub.asia) that allows broken-hearted users to win back lost loves if he or she breaks-up another couple. DotAsia was a co-producer of the film, which was critically acclaimed and a commercial success. 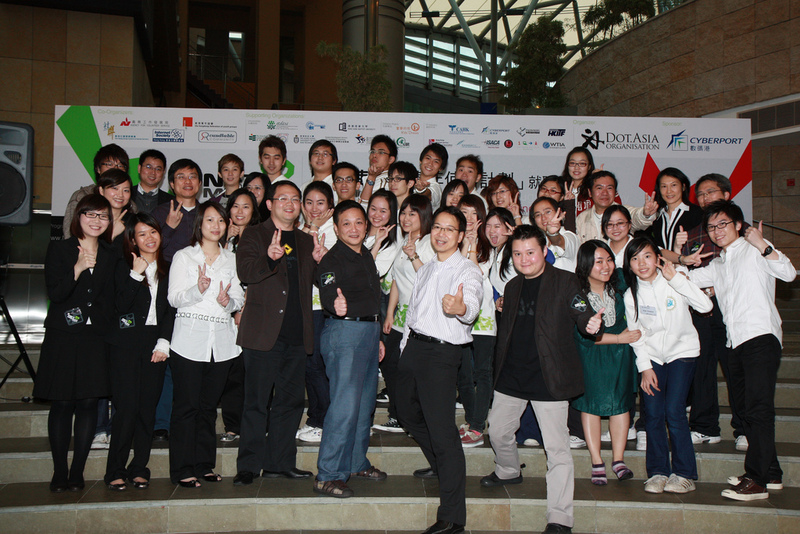 Since the Celebrities pioneer program, DotAsia had worked with many different artists such as with Stephen Chou (周星馳) in CJ7, Ella Koon (www.ella.asia), Jackie Chan in Little Big Soldier (www.大兵小將.asia), Donnie Yen (www.donnieyen.asia), along with entertainment community events such as the Asian "Oscars": www.AsianFlimAwards.asia, and the celebration of 100 years of film in Hong Kong: www.HKFilm100.asia. Asia Pacific Regional Internet Governance Forum (APrIGF) has been held annually since initiated in 2010 in Hong Kong. DotAsia has played an important role in bringing together the different stakeholders in the region to spearhead this regional event, and continues to provide secretariat support to coordinate the efforts. 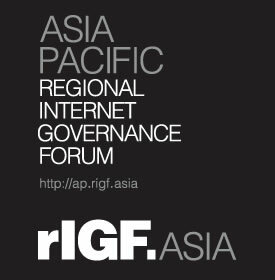 The APrIGF serves as a platform for aggregating IGF related discussions and collaborations at the regional level which ultimately advances the Internet governance development in Asia Pacific. With the leadership from NetMission Ambassadors, the Youth IGF Camp (www.yigf.asia) has also become an integral part of the annual event. Embracing regional collaboration, DotAsia also supported the first ever joint conference between two of the key Internet community events in Asia at www.APRICOT-APAN.asia in 2011. DotAsia is the first gTLD that included IDN TLD provisions in its original application to ICANN in 2004. Following through with its commitment to coordinate with the appropriate technical standards bodies, ccTLDs and ICANN, the DotAsia team has been proactively involved in supporting and participating in the IDN technology and policy discussions since its inception. DotAsia's IDN policies incorporates and expands local knowledge from ccTLDs for their application to gTLDs. Besides IDN, DotAsia also proactively supports the advocacy and advancement of other internet technologies through different initiatives, such as: www.IPv6world.asia and www.DNSSEC.asia. In response to the call for proposals by the Macau government for supporting the operation of the ".MO" ccTLD, DotAsia joined forces with a local conglomerate in Macau to form HNET Asia. 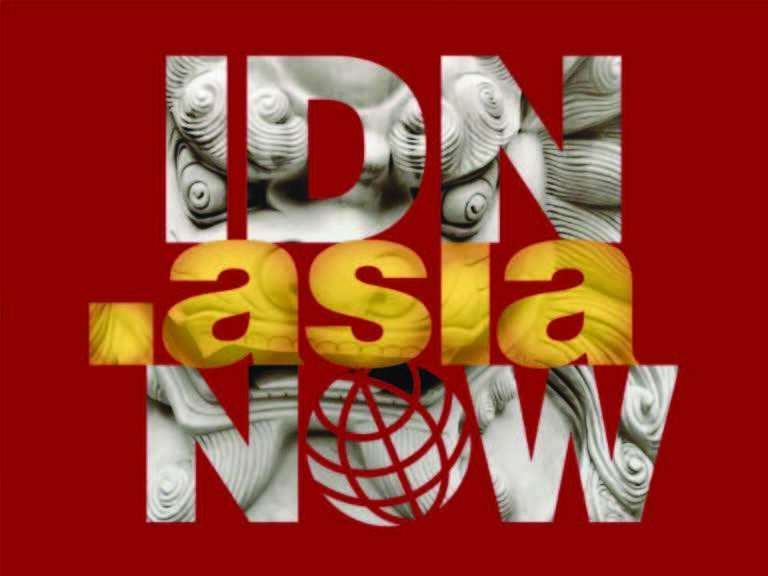 Since March 2011, HNET Asia has been operating the ".MO" registry. In support of the operations, DotAsia has initiated the OpenR.Asia initiative to contribute its efforts through an open source registry system for the industry, and continues to provide training and knowledge transfer to local engineers and ICT industry in Macau. Building on this expansion in scope of operations, and the development of the global new gTLD program, DotAsia also launched the TLD.Asia (www.tld.asia) initiative and established the Namesphere venture which supported over 30 applications in the 2012 round of new gTLDs through the ICANN process. Go.Asia is a charitable initiative launched by DotAsia and spearheaded by Hong Kong Martial Arts Superstar Donnie Yen and his wife, Ms. Cissy Wang. The vision of Go.Asia is that "Every Act Counts", with an aim to improve society through collective and individual efforts. Go.Asia comprises shared information and materials related to the development of volunteer service, charitable organization and projects across Asia, as well as relief and rebuild efforts through Relief.Asia (www.relief.asia). Beyond Asia, Go.Asia, also works closely with other international charitable initiatives to bring them to Asia, for example, Jaime Oliver's Food Revolution Day initiative (www.frd.asia) and the Mandela Day initiative (www.mandeladay.asia), as well as to expand local initiatives across Asia, e.g. GIVE Singapore initiative (www.give.asia). By leveraging joint efforts from the global network of ICANN Accredited Registrars, DotAsia has implemented various cost reduction and marketing credit initiatives to lower the barriers of adoption by domain registrants, through the lowering of prices as well as the increase in storefronts carrying the ".asia" domain for registration. The channel development programs sparked a 30% growth between 2009-2010 and another 18% jump in 2011. For 2012, total new creates already out number 2011 in September. 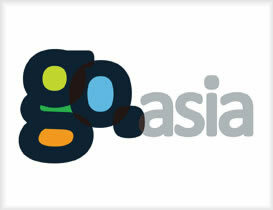 Traditionally, the Asia domain market occupies only around 15% market share of gTLD registrations. Sunrise and Landrush awareness is dominated by US and European interests. Through the .Asia Home Market Growth programs, implemented for various target markets at different times, including China, India, Japan, Korea, South East Asia, etc., DotAsia has successfully turned this around. Since 2010, the majority of new registrations are coming from Asia, and in 2011 7 out of the top 10 countries/territories by new registrations are from Asia. Besides HMG programs, .Asia also launched Cheer for Asia campaigns when Asian teams were playing during the World Cup soccer matches as well as during the Asian Games and Cricket World Cup. These programs help to solidify DotAsia's commitment in the Asia Internet marketplace. FreeB.Asia is yet another pioneering program from DotAsia. In 2009, the first FreeB.Asia program generated much interest and discussions from bloggers and social media when DotAsia gave away a free 2 GB USB memory stick for every 2-year registration. In 2012, we topped the program with a head-turner by giving away a free 7" Android tablet for every 10-year .Asia registration, on top of other free giveaways, driving the buzz and value of .Asia registrations. Keep your eyes and ears open for the next FreeB.Asia promotion to see what we have in store for you next! Launched in 2009, KeepClicking.Asia is a social media platform featuring live and active .Asia websites and activities. Sightings of ".Asia" domains being used in magazines, billboards, advertising, corporate identity and other media as well as general market trends developing in Asia is being discussed. Beyond KeepClicking.Asia, DotAsia has also partnered with others to produce ListenUp.Asia (www.listenup.asia) -- a podcast dialogue on the value of .Asia domains, WhatsUp.Asia (www.whatsup.asia) -- a lifestyle newswire site. 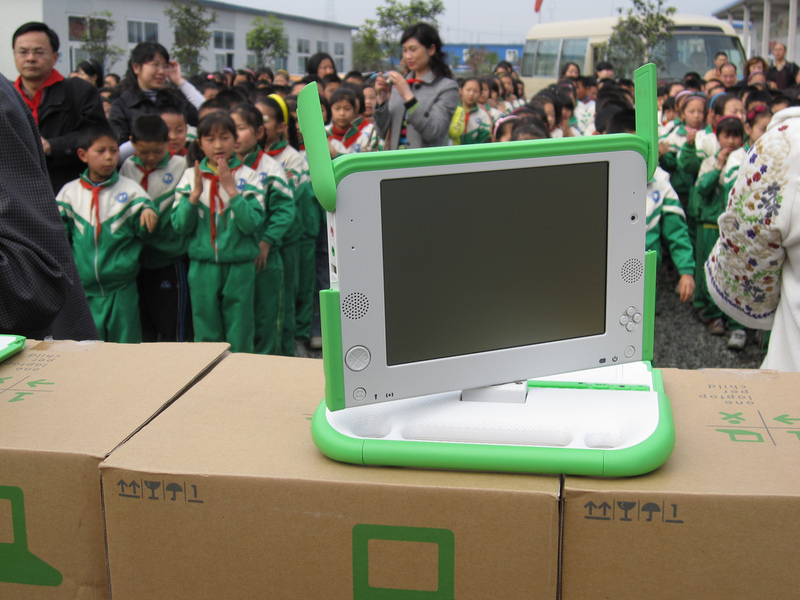 OLPC (One-Laptop-Per-Child) is an initiative providing a means to an end: an end that sees children in even the most remote regions of the globe being given the opportunity to tap into their own potential, to be exposed to a whole world of ideas, and to contribute to a more productive and informed world community. NetMission Ambassadors Program is a youth program initiated by DotAsia in 2009 aiming to nurture university students to become future Internet leaders. 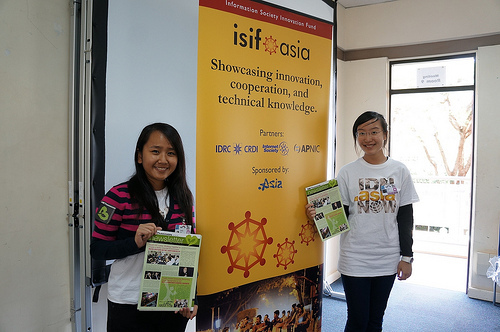 The ISIF Asia Program, which provides small grants and awards, has a vision for "Small grants, inspiring innovation" and was developed to help advance local and regional projects aimed at introducing, improving, and applying Internet technology for the benefit of Asia-Pacific users and communities. BlogFest.Asia is a festival for bloggers and social media in Asia. 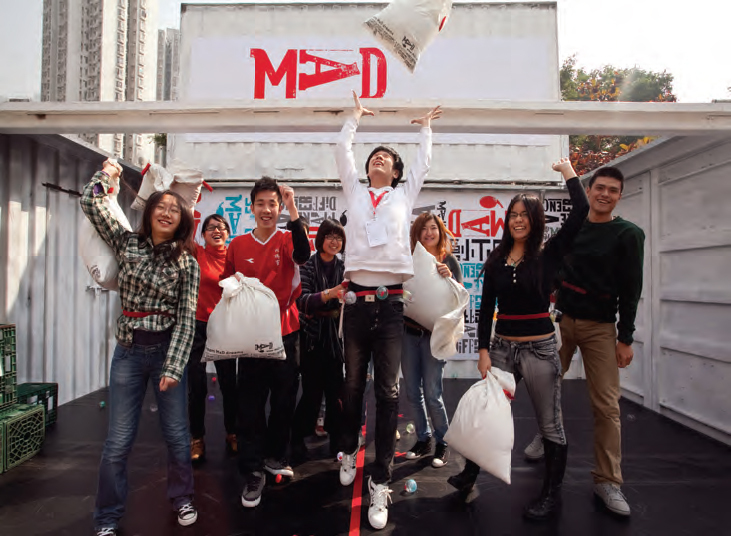 MaD believes passionately that young people have enormous power to make a difference. Evolving around creativity, entrepreneurship, innovation and discovery. Break Up Club (分手說愛你) is a 2010 Hong Kong romance film starring Jaycee Chan (son of renowned martial arts celebrity Jackie Chan) and Fiona Sit. Asia Pacific Regional Internet Governance Forum (APrIGF) has been held annually since initiated in 2010 in Hong Kong. DotAsia is the first gTLD that included IDN TLD provisions in its original application to ICANN in 2004. In response to the call for proposals by the Macau government for supporting the operation of the ".MO" ccTLD, DotAsia joined forces with a local conglomerate in Macau to form HNET Asia. Go.Asia is a charitable initiative launched by DotAsia and spearheaded by Hong Kong Martial Arts Superstar Donnie Yen and his wife, Ms. Cissy Wang. Through the .Asia Home Market Growth programs, implemented for various target markets at different times, including China, India, Japan, Korea, South East Asia, etc., DotAsia has successfully turned this around. The channel development programs sparked a 30% growth between 2009-2010 and another 18% jump in 2011. For 2012, total new creates already out number 2011 in September. 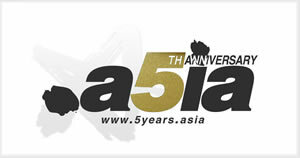 In 2009, the first FreeB.Asia program generated much interest and discussions from bloggers and social media when DotAsia gave away a free 2 GB USB memory stick for every 2-year registration. 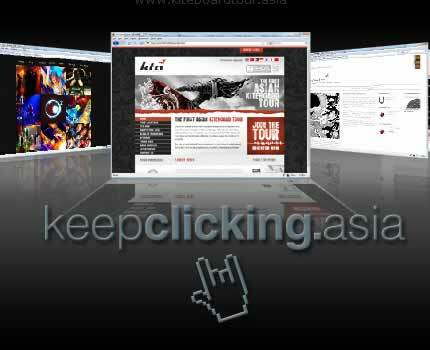 Launched in 2009, KeepClicking.Asia is a social media platform featuring live and active .Asia websites and activities.